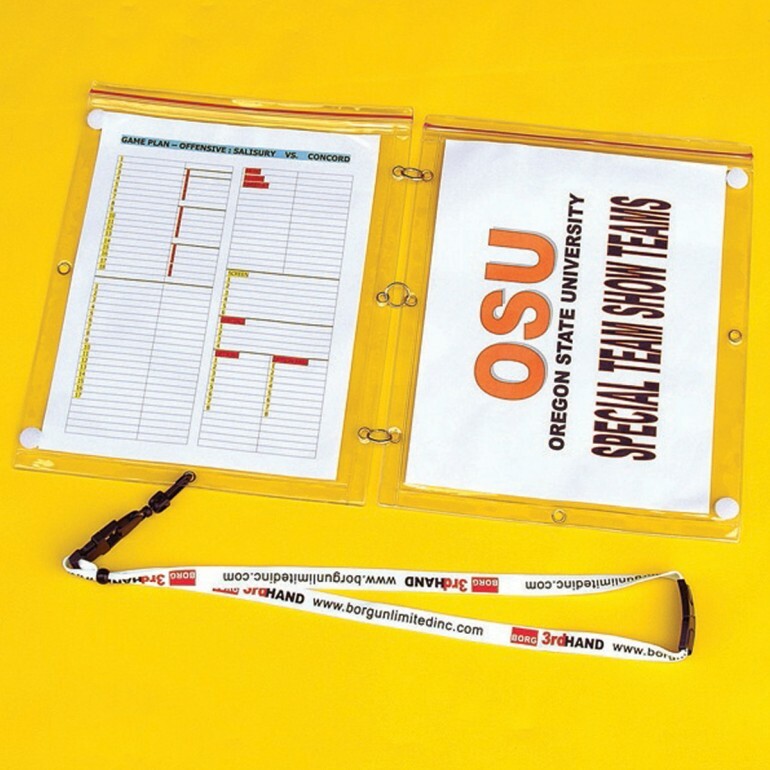 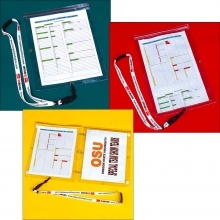 The 8.5" x 11" two pack of standard size game plan protectors means no more folding, rolling, or laminating.Have you ever wished that you had a third hand during games or practices? 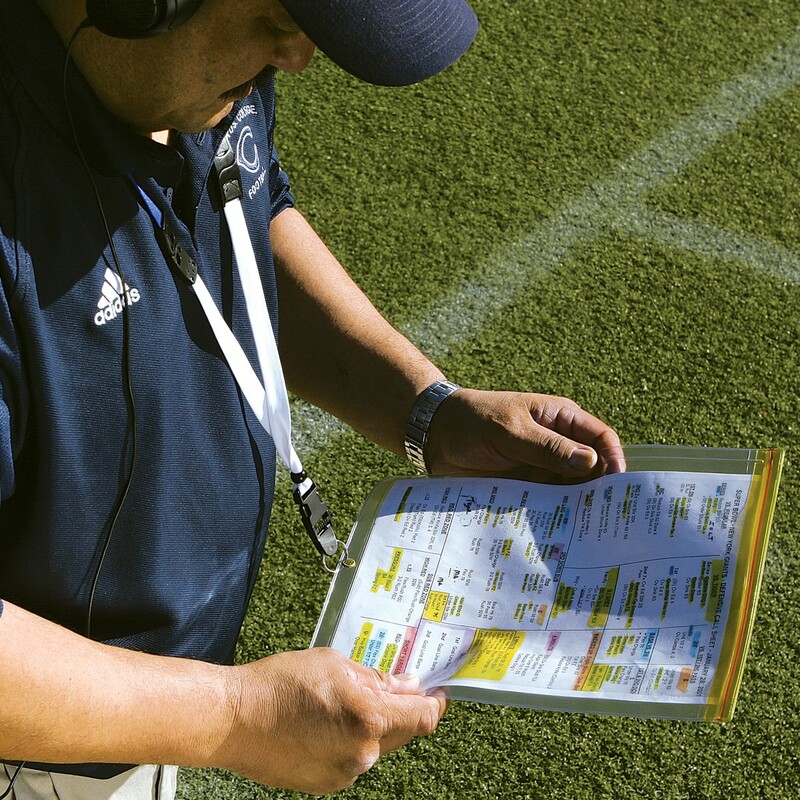 The Fisher Coach's 3rd Hand is the answer! 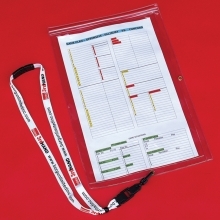 This is an indispensable aid for practice or games because it protects your game plan in all weather conditions with a zip lock seal. 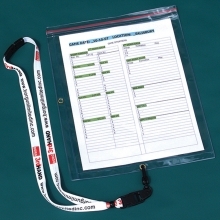 Easily write your adjustments on the vinyl pocket with a grease pencil. 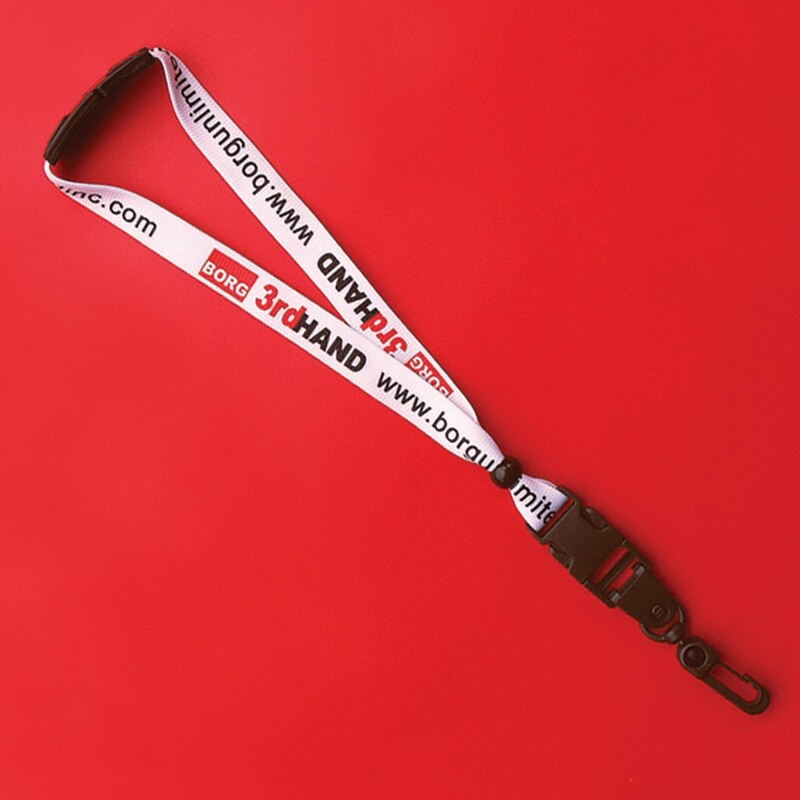 The detachable and adjustable lanyard keeps your hands free while you work.